The personal profile is immediately visible. This is a very clear CV! 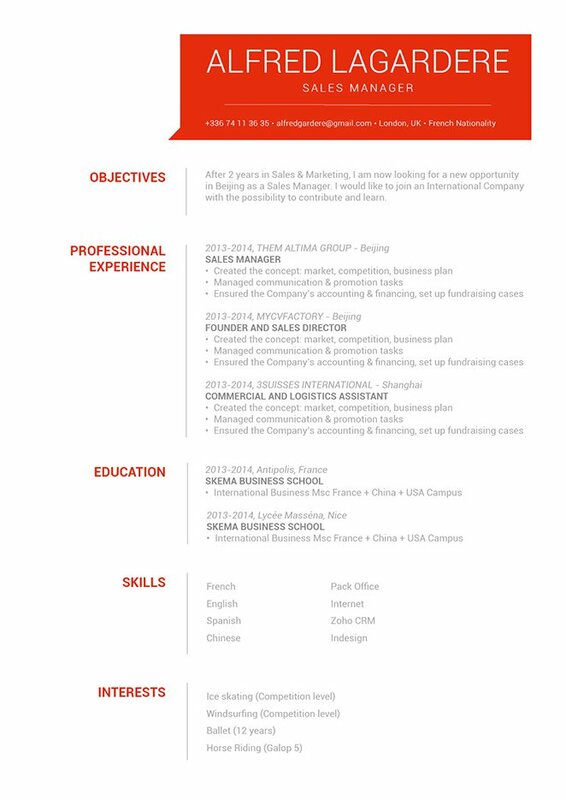 CV template to download "Candid"
Need a resume with a unique and simple design? Then the Candid resume template is all you need. It has a clean design that clearly lays out your qualifications in an easily readable manner. 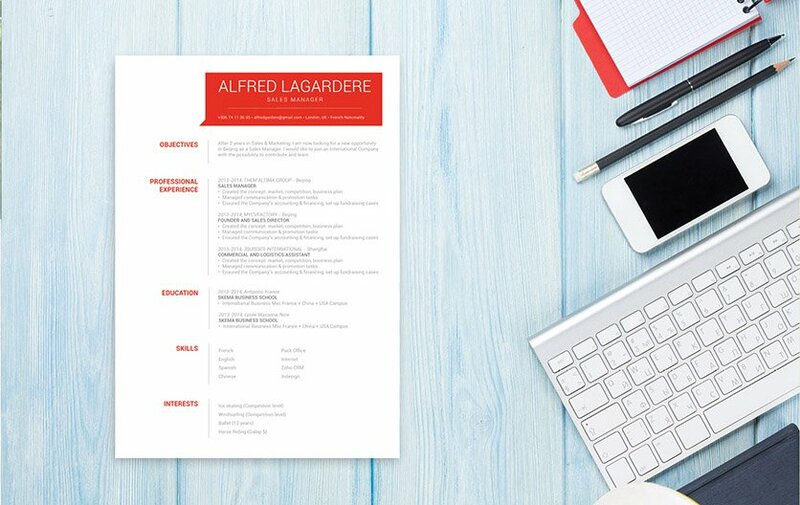 With the effective use of colors and texts this resume template is perfect for any job type. So what are you waiting for? Pick the Candid resume and get that dream job! Make your resume short, but substantial. A resume format that has a clean and simple design that gives the reader exactly what they need will be your ticket to that dream job. A major factor that makes a resume effective is its overall layout and format. Fonts such as Seriff and San Seriff give a professional look to your resume. Your font size should be between 11-12, make good use of bold and italics to guide the reader's eyes to the essential parts of your cover letter. Each segment of your resume should be short, but dense with information. Break down complex paragraphs into smaller bit-sized pieces. This will serve as hook for your potential employer to continue on reading your resume.